Patrick Smith is an airline pilot and the host of the popular website AskThePilot.com. Patrick is also a published author, and his book Cockpit Confidential is a New York Times best-seller. He has also appeared on hundreds of radio and television outlets and his work is cited on a regular basis in print publications worldwide. He currently works as the first officer on the Boeing 767 and 757 flying both domestic and overseas routes. 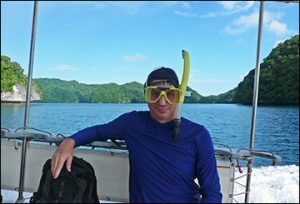 As well as aviation, Patrick travels extensively in his spare time and has so far visited more than 80 countries. Join us as Patrick gives us insight into his inspiring pilot journey. Patrick’s curiosity with aviation started when he was young and is a self-confessed commercial airline industry geek. 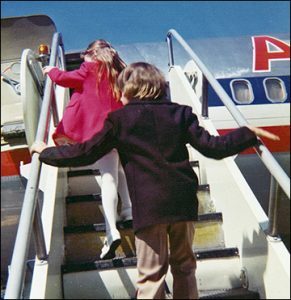 He remembers being mesmerised with the “grand theater of air travel” for as long as he can remember. With the help of his parents, Patrick took flying lessons when he was 14 years old. His young age as well as the high expenses were a bit too much for him to handle. He would continue to fly at a later age. Patrick admitted that he was a slacker as a student pilot and wished to find his instructors today so he could apologise to them. Patrick continued learning how to fly when he was 20 years old. This time, he took flying seriously so he could build up his hours. After spending time and hour building as a flight instructor Patrick finally got his first job in the Airline industry and got a co-pilot job flying the Beechcraft 99 15-seater turboprop at age 23. His career progressed and he went on to become a flight engineer in a DC-8 for freight carrier DHL for 4 years. Patrick is now currently flying as the first officer on the Boeing 767 and 757 under a Major passenger carrier flying both domestic and international routes. 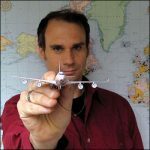 Working as an FO for a major airline, Patrick is also the owner of the website AskThePilot.com where he shares his opinion and experiences about the aviation industry. 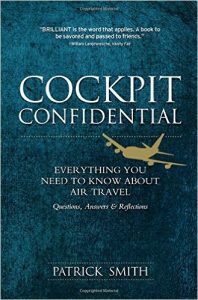 He has also written two books entitled “Ask the Pilot” and “Cockpit Confidential” and he’s currently writing edits for the latter for its 2nd edition. 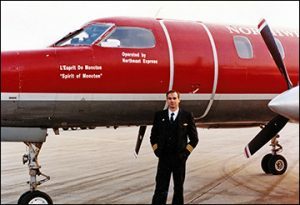 Patrick always cherished the moments of his first flight on the little old “Beech 99” as an airline pilot back in 1990. While Patrick wants to progress professionally, he’s very happy with what he’s doing right now and just to stay the course and keep doing what he’s doing. Seatguru.com: Patrick loves to look around at airplane seat diagrams from time to time since it gives him a somewhat “relaxing and zen-like” unexplainable feeling. Half a century ago, airline stewardesses wore double-breasted suits and perky cloth hats: in-flight refreshment consisted of a thermos of ice water: and passenger seats were fashioned out of tubular aluminum covered in wool. Today lucky air travelers are treated to fine wines, gourmet meals, personal television monitors and even the chance to sleep in a real bed, while the rest of us make do with increasingly skimpy leg room and a bag of peanuts. From utilitarian to luxury, from sensible to chic, from humdrum to kitsch, the evolution of air travel is one of the most dramatic and fascinating reflections of our changing culture, and it is colorfully and whimsically documented in this unique collection of photographs and entertaining text. Sunshade – when you’re thousands of feet up in the air with the sun in your face, you will realise that not every multi-million dollar aircraft has this luxury in the cockpit.